Designed to be a conversation piece, this wooden tea bags box is elegant, sturdy and a work of art. It has been specially designed with curved edge dividers. 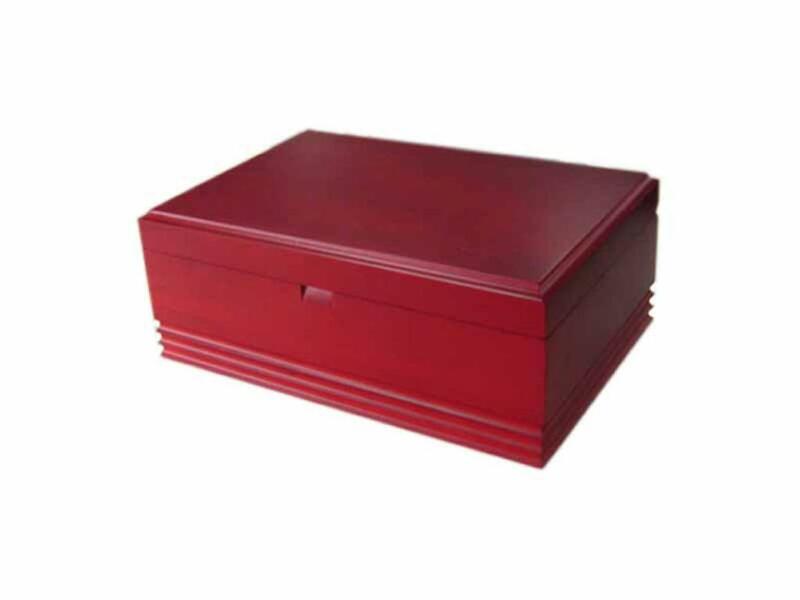 With a rich cherry finish both inside and outside, this wooden box is absolutely beaufiful and elegant for tea bags packaging. Inside compartment size is 76x77mm with six compartments to hold your tea bags. Each wavy shape divider allows the owner to select and remove the tea bags in an easier fashion. Discounts available when ordering in large quantities. 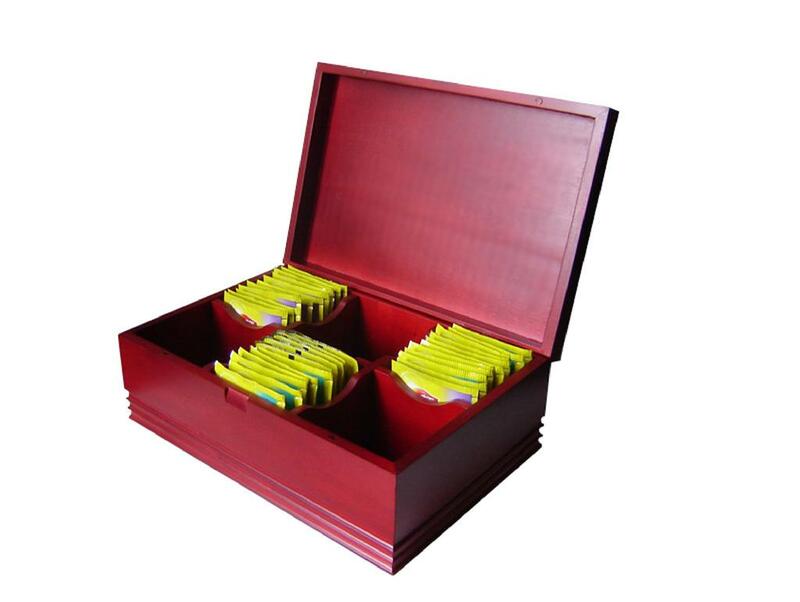 Extreme Enterprise is a first class manufacturer of high quality custom wooden tea boxes. We are committed to providing you with an excellent product that will exceed your expectations, excellent customer service and a guaranteed price that will beat all our competitors. Utilizing our skilled craftsmen, we pride ourselves in manufacturing the highest quality custom made boxes available in China.